Having you own herb garden can be fun and rewarding! Once you have had one for a good a mount of time, you can use your own herbs earned with hard work to create the perfect dish without running to the store to purchase what you need. Nothing feels better than being self sufficient and cooking great meals with herbs from your own back yard. And, when you plant the herbs yourself, you now the exact nutritional value of your seasoning. No preservatives are placed to dull the flavoring and take away healthy benefits; your garden actually helps you stay healthy! 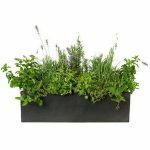 Growing a kitchen herb garden is a rewarding hobby. The plants add style and color to the home and offer fresh flavors for the kitchen. 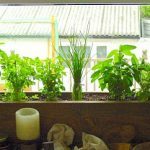 Most herbs will thrive in a sunny windowsill, and gardeners can propagate plants inside or out. Choosing a variety is one of the first things to do, and there are several great options. Here are a few easy to grow varieties that are perfect for cooking. Container gardens are becoming more popular as more people that don’t have the space for a ground garden are wanting to enjoy and experience the art of gardening. Herbs are one of the easiest kind plants to grow in containers. They can be placed in a sunny window or on a balcony in an apartment house. Container gardens open a whole new world to the art of growing your own herbs. Fertilizing allows you to enjoy better flavors and yields than if you simply let nature take its course. It also ensures that your plants have everything they need to stave off disease, withstand stress and pests and grow vigorously. Here are some tips for fertilizing your organic garden.